Isobel is a prodigy portrait artist with a dangerous set of clients: the sinister fair folk, immortal creatures who cannot bake bread, weave cloth, or put a pen to paper without crumbling to dust. They crave human Craft with a terrible thirst, and Isobel’s paintings are highly prized among them. 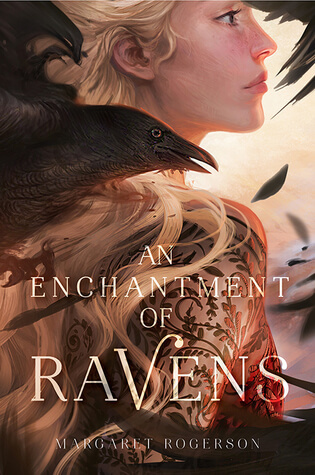 But when she receives her first royal patron — Rook, the autumn prince — she makes a terrible mistake. She paints mortal sorrow in his eyes – a weakness that could cost him his life. Furious and devastated, Rook spirits her away to the autumnlands to stand trial for her crime. Waylaid by the Wild Hunt’s ghostly hounds, the tainted influence of the Alder King, and hideous monsters risen from barrow mounds, Isobel and Rook depend on one another for survival. Their alliance blossoms into trust, then love, violating the fair folks’ ruthless Good Law. There’s only one way to save both their lives, Isobel must drink from the Green Well, whose water will transform her into a fair one — at the cost of her Craft, for immortality is as stagnant as it is timeless.